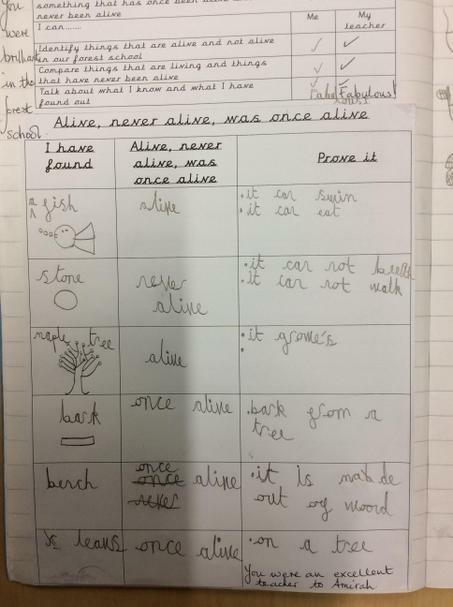 We are learning about living things, things that have never been alive and things that were alive once. We went in to the forest school to look for examples of living and non living things. 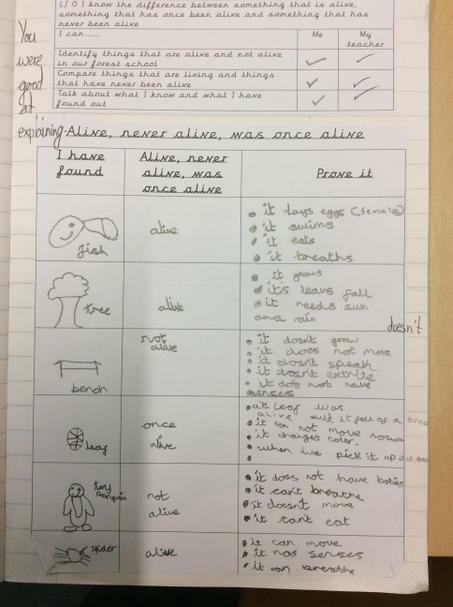 We had to explain how we knew that something was living. 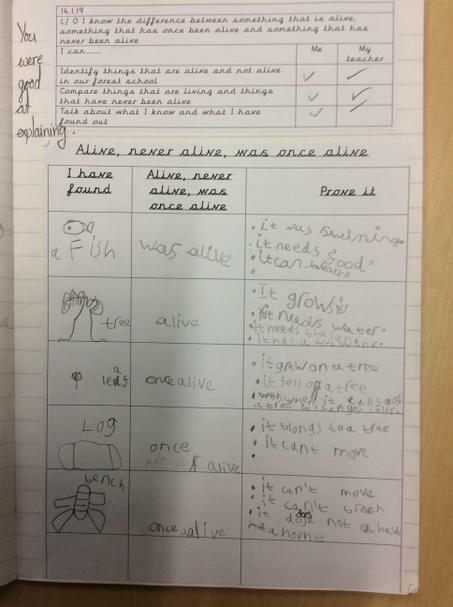 We compared things that were living and things that had never been alive.